The old-time poets, who used to write so mournfully of the sad November days, must have kept out of sight and smell of good home cooking and the busy ways of homemaking. Nothing sad about those, to my way of thinking. The winner of Fine Lines is Maureen, and the winner of A Year With Emerson is Penny!! Look under the blog header picture. I'm so happy for each of you, and very thankful to everyone who took the time to enter. There'll be more to come in the future! I had such a strange few weeks of reading after finishing my beloved Scarlet Feather on October 25. 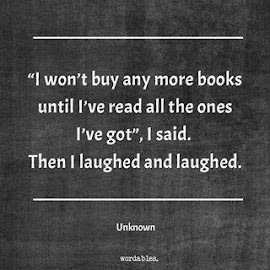 I began several books which I did not want to continue. One was a mystery that just got too creepy for me though I read half of it before quitting - The Glass Devil by Helene Tursten. I tried another mystery, one from the Golden Age, but I found it so confusing, with so many characters who didn't stand out from one another, and such a boring story that I quit this one too - Death at the President's Lodging by Michael Innes. Then I began a cozy, which isn't always my favorite genre, though I do adore some. This one was a bit too romancey for me - Silent in the Grave by Deanna Raybourn. 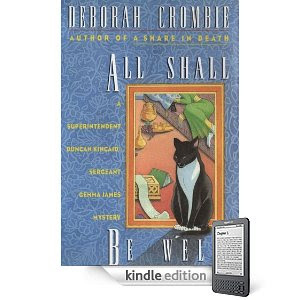 I tried another sort-of cozy, but it wasn't the first in the series, and I couldn't catch up with what was going on with the characters - A Puzzle in a Pear Tree by Parnell Hall. I read quite a bit of another mystery, and didn't care for it and dropped it - A Carrion Death by Michael Stanley. I began yet another mystery, and just couldn't get into it - Walking Into Murder by Joan Dahr Lambert. I may try any or all of these at another time, but my first attempts weren't successful. So, who better to 'cleanse the palate' than Agatha Christie? This is the third Miss Marple novel, though she doesn't make an appearance until nearly the end. She 'solves' the mystery, but I found her to be an odd, barely fleshed out character. I'm not sure why Agatha even included Jane Marple. The book went along just fine without her, though the mystery may not have been solved! The narrator is a most pleasant fellow named Jerry Burton who is recovering from an accident. His doctor recommends that he and his sister, Joanna rent a house in the country where nothing happens so he can get complete rest and relaxation. Well, it wouldn't be a mystery book if this was the case, would it? The little village is besieged by poison pen letters. They aren't true, but they deeply upset the bearers and their families. Doubts crop up. Could he or she really have done that? When one of these letters presumably ends in a suicide, it becomes very serious. Sometimes I think every Agatha Christie I read is my favorite, but this one really is very, very good. It has a light cheeriness which isn't always present in mysteries. The characters are exceedingly well-drawn and memorable. I didn't have to wonder who someone was, and have to look back to an earlier appearance. 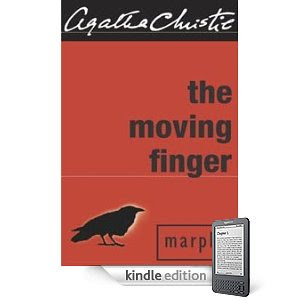 The Moving Finger was a perfect reading experience. This is a perfect chocolate chip cookie recipe for when you don't want too many. It makes two dozen cookies. I got it from a magazine ad for Sugar In The Raw, sugar I have mentioned before; the one I use all the time for both white and brown. The ad is just adorable, and here is an article on Sugar In The Raw's latest ad campaign. Ah, the genius of those mad men and women. Cumberland Packing Corp.'s new campaign for its In The Raw all-natural sweeteners is putting a twist on a familiar approach by tying recipes into humorous takes on human emotions and behavior. The campaign, taglined "It's Only Natural," aims to convey the versatility of Sugar In The Raw and its zero-calorie counterpart, Stevia Extract In The Raw, by drawing consumers in with lighthearted commentaries on the roles that food plays in our lives. The campaign's print ads, from the Mother New York ad agency, feature bold, run-on headlines playing on themes of love, loss and indulgence and close-ups of tempting foods and beverages, accompanied by step-by-step recipe copy. Examples include "Cocoa brownies to heal a heart broken by a man who promises it wasn't you; it was him. And by him he means a girl named Stacey Lee"; "Chocolate chip cookies you'll bake for her birthday that she'll never try because you'll never give them to her because you'll eat them all and phone in some tulips"; and "Spiced iced coffee that has you thinking about the five bucks you spend every day on a coffee you could brew at home but know you never will except for today." The underlying message: "In The Raw understands the changing reasons in one's choice of sweetener and provides the flexibility to choose, without sacrificing taste, naturalness and quality," sums up Steven Eisenstadt, CEO of Brooklyn, N.Y.-headquartered, family-owned Cumberland Packing Corp., whose product lines also include Sweet'N Low, NatraTaste (Blue and Gold), Sweet One, Nu-Salt and Butter Buds. Sugar In The Raw, a turbinado sugar made from natural cane, was launched in 1970. Stevia In The Raw, introduced in 2009, claims to be absent of the aftertaste often associated with stevia products, and has shown the fastest growth in unit and dollar sales among the top five nationally branded sugar substitutes during the past 52 weeks, according to SymphonyIRI data cited by Cumberland. The stevia product is available in a baking-bag package designed for easy use in cooking and baking, as well as in single-serving packaging. The cookies are, of course, delicious! And they'll not go stale because there are so few you'll eat 'em up in no time. Makes 2 dozen. 1 for you, 1 for her. Or so she hopes. 3/4 cup of all natural Sugar In The Raw. Maybe she's having one of those days? Weeks? Sub 1/2 cup of zero calorie Stevia Extract In The Raw with 1/2 cup Sugar In The Raw for a better day. Mix hard. Add 1 1/4 cup of flour. Yeah, the white stuff. A little bit won't hurt. and 1 cup chocolate chips. Well, minus the handful (or two) you'll have already eaten. 10 minutes later, it's Happy Birthday time. Maybe even for the birthday girl. A fun recipe to read, and terrific cookies to bake on this snowy, foggy November day. Please do visit Beth Fish Reads for more Weekend Cooking posts. 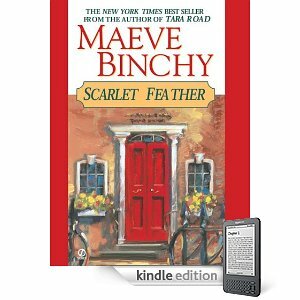 If pressed to name my favorite Maeve Binchy book, I think it would have to be Scarlet Feather. This is my second reading, and now that I own it, I will probably read it again and again. I love these characters. Cathy Scarlet and Tom Feather want to begin a catering business. Cathy is married to a lawyer, Neil who works hard to help those who don't always get legal support, and Tom is in love with Marcella, a beautiful woman who wants to be a model. Cathy has spent her whole married life feeling that her mother-in-law was disappointed that her son married a woman who didn't come from a 'good' family. Cathy's parents are dear people; 'salt of the earth' as they say, except that her dad is a gambler whose every penny goes on a bet. Cathy's mother is a hard-working house cleaner, and in fact was the cleaner for Neil's family. Neil's uncle and aunt's family life is terrible. The man is gone all the time and the woman is an alcoholic. Their older son is a selfish crook, and the two young twins are a sad case. No one wants them. Maud and Simon are two of the dearest children I've met in literature. All this may sound dismal, like one of those gloomy books I steer clear of, but it isn't at all. These facts are dealt with in a very matter of fact way. There is a lot going on in the book with various family members. There isn't any melodramatic event; there is no startling tragedy. Life just moves along in its pleasant, trying, troublesome, humorous way. Problems come up, but they are solved. Not everyone is bubbly and happy, but there is no sense of life not being worthwhile. Indeed, it is just the opposite. This is one of the most life-affirming books I've ever read. People have an outlook that is encouraging and exemplary. The book also details two breakups. The slow coming apart of a couple is so well done. And, I expect, very true. People do go in different directions, and as we see in this book, it is often their careers that come first. Their jobs take a tremendous amount of time and energy. There is no time to talk about the big or little things. The book is an example of the opposite of Del Griffith's motto in Planes,Trains and Automobiles: Like your work, love your wife. If you've never read Maeve Binchy, this would be a marvelous place to begin. It is set during the rise of the 'Celtic Tiger,' which we know has now fallen, rather spectacularly. The themes in Maeve Binchy's earlier books, which take place in an older Ireland, are wrapped up with the Church and social conventions. 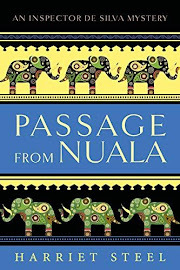 These modern Irish people are not bound by the old traditions, and are making their way into a new world. A perfect book, in my estimation. How wonderful it would be if we could help our children and grandchildren to learn thanksgiving at an early age. Thanksgiving opens the doors. It changes a child's personality. A child is resentful, negative—or thankful. Thankful children want to give, they radiate happiness, they draw people. I had some sour cream in the refrigerator, so I thought I'd make sour cream muffins this cold, dark November day. I found a recipe on the internet. I found this a little bit dry so added maybe half of 1/3 cup milk. Fill greased 12-cup muffin tin. Bake in preheated 400º F. oven for 20 minutes, but check at 15. These are so very good. They will go perfectly with tonight's chili. Everyone has their own favorite chili recipe. This one is adapted from a friend's, and we just love it. Put 1/2 cup dry black beans, and 1/2 cup dry cannellini beans into crockpot. Add 1/4 cup farro. Turn on high. Add maybe a teaspoon each of cumin and chili powder. Add salt, as desired. Sauté a diced onion, some chopped summer squash, maybe a cup of frozen corn, and a sliced carrot in 2 Tablespoons olive oil, and then add to crockpot. I used the vegetables I had on hand today. If I'd had an orange or yellow pepper, I would have added it, too. Aren't these colors beautiful - like a summer bouquet. Put a 28-ounce can of crushed tomatoes through the food mill, and add about 2/3 of it to the crockpot. Farro is a new-to-me grain, but it has been around for a really long time. More here, and here, if you are interested. I think it adds a nice touch to the chili. There's a giveaway going on through Sunday, the 28th! Tomorrow, November 22, is the fourth anniversary of the day I began writing this blog, these letters. I love the idea of a giveaway on one's blog anniversary. It is such a nice way to say thank you for my dear readers. There are two books which I am offering as a giveaway this year. One was given to me by a wonderful Canadian internet friend with whom I was on an email list for a long time. She and I have stayed in touch, and recently she sent me a magical parcel of books and magazines which included a book called Fine Lines. She remembered me talking about it years ago. Since that time, I have bought my own copy so I told her that I would offer her gift as a giveaway on my blog. I did a little entry about clotheslines, with a mention of the book here. The second book is one I recently bought, called A Year With Emerson with a quote for each day of the year. 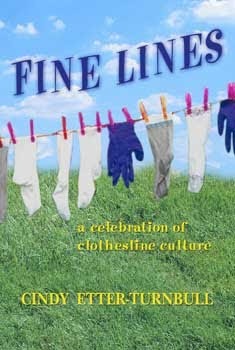 Fine Lines is a fun-filled book about a much overlooked aspect of North American culture: clotheslines. If you have ever driven through communities and noticed all the lovely laundry on the backyard lines and wondered about the colourful art of hanging up clothes, you are about to find out the stories behind those fine lines. While other books pin their success on airing dirty laundry, this volume is a refreshing change. 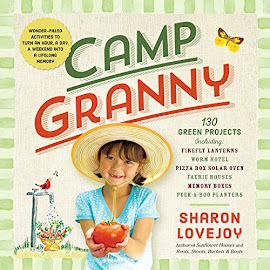 It's a book about clean laundry hanging in a gentle summer breeze... as well as winter laundry frozen stiff as boards on the line in the backyard. Mrs. Clothesline examines in every detail the different kinds of lines, the various hanging methods and the personality profiles of those who participate in this age-old daily ceremony. Once you've read this engaging book, you'll never look at a drying line of wash the same way again. Cindy Etter-Turnbull writes of the unsurpassed magic of the best drying days, dos and don'ts for beginners and veterans, clothesline props, clothesline disasters and other related subject matter. Fine Lines covers it all. 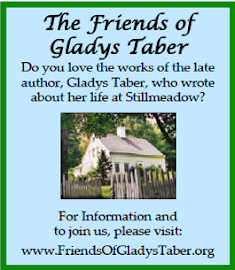 She includes true life accounts of clothesline tragedies and triumphs from people across the country. Fine Lines is the book that will revolutionize the way you look at laundry. It is intended for amateurs as well as professionals, men as well as women. This book will put to rest any questions you may have about the fine art of hanging out the wash. Probably nobody knows more about clotheslines than Cindy Etter-Turnbull. Cindy, and her basket of clothes, has spent many fun-filled evenings in homes and community halls throughout Nova Scotia collecting stories and anecdotes about clotheslines. She has been featured by Stuart McLean on CBC Radio's Vinyl Café, and has appeared on Wayne Rostad's On the Road Again. Born in Windsor, Nova Scotia, Cindy and her husband proudly possess two actively used clotheslines. Cindy spends her spare time training the family dog, gardening and trying to out-fish her husband. Her love of tradition, beauty, orderliness, and humour has led to her fascination with "fine lines." 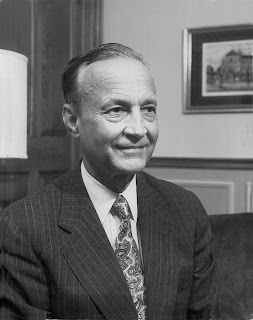 "A chief event of life is that day on which we have encountered a mind that startled us." A Year with Emerson is a feast of 365 such days, designed to celebrate the bicentenary of the "Sage of Concord." Known throughout the world for his cogent, epigrammatic writing, admired as the "George Washington of American Literature," his work is even more piquant and enriching in bigger doses. In this delightful display of his genius, the daily almanac entries take us to the heart of his ideas and philosophy. Some were written on the very day in which they appear in the book, some are speculations and musings of the season and the natural world, but all are unfailingly wise, still relevant to our modern times. As a philosopher, essayist, poet, and lecturer, Emerson's mind ranged across the universe even as he traveled the length and breadth of the United States and Europe. With him as a companion and guide, we meet the ideas and personalities he championed and encountered, from Lincoln to John Muir, from Carlyle to Montaigne, and, of course, Emerson's own close New England circle of Hawthorne, Thoreau, Margaret Fuller, and the Alcotts. With company like this and the scope of Emerson's vision, we can read the entries as a daily inspiration and tonic, or simply enjoy this extended daybook as a revelation of a visionary, incorruptible, and surprisingly modern mind. Richard Grossman is a psychotherapist, medical educator, essayist, and former publisher who has been reading and studying Emerson for over forty years. He lives in Salisbury, Connecticut. If you would like to have one of these books in your own library, you may leave your comment on any posting beginning today, November 21 through next Sunday, the 28th. It is very important that you tell me which one you want. I will draw two names on Monday, November 29, and will send the books anywhere in the world. 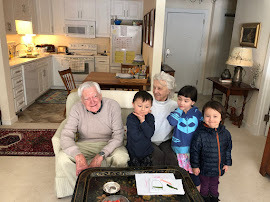 We celebrate the days our children arrived from South Korea, and call them 'Margaret's Day' and 'Michael's Day.' I've noted each day: here and here. 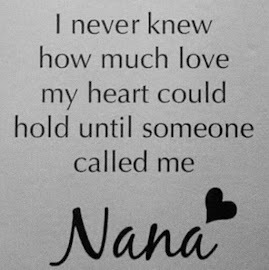 I've also featured a few poems written by our old friend, Iva and on this 28th anniversary of Margaret's arrival, I thought I'd offer one she wrote in honor of our daughter. I cry each time I read it. became my lovely Margaret's hair. became my lovely Margaret's eyes. This second in the series takes place in the building where Detective Superintendent Duncan Kincaid lives. One of his neighbors, a fifty-year old woman named Jasmine, is slowly dying. Kincaid has become quite fond of her, and his friendship means a great deal to her. When she does die, the assumption is that it was a natural death but it turns out she had asked a friend to assist her in suicide. And the autopsy shows that Jasmine died from an overdose of morphine. Was it suicide or was it murder? And if the latter, why kill a woman who was dying anyway? Kincaid and Sergeant Gemma James become quite emotionally involved in the case as they spend time in the dead woman's home, searching for clues to why anyone would want to murder her. The author's descriptions offer the detectives and the reader a sense of who Jasmine was. One wall held prints and Gemma went closer to study them. The center of the grouping was a sepia-tinted photograph of Edward VIII as a young man in Scouting uniform, smiling and handsome, long before the cares of Mrs. Simpson and the abdication. A memento of Jasmine's parents, perhaps? Kincaid stopped in front of the solid, oak bookcase and contemplated the spines as if they might reveal something if he stared long enough. Books were jammed in every which way, taking up every inch of available space. Gemma joined him and scanned the titles. Scott, Forster, Delderfield, Galsworthy, a much worn, leather set of Jane Austen. "There aren't any new ones," said Gemma, realizing what struck her as odd. "No paperbacks, no best sellers, no mysteries or romances." "She reread these. Like old friends." 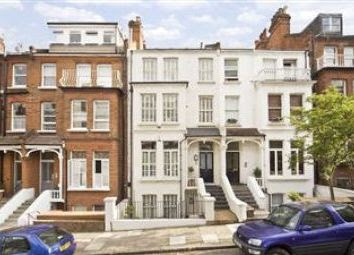 This is the sort of building Duncan Kincaid would come home to in Hampstead, London. The silence in Carlingford Road seemed intense after the main thoroughfares, and the air in the shadow of his building still held the night's chill. You may read the opening of the book at the author's website to get an idea of the writing, the feeling of the book. I am so loving this series, and have the third waiting on my Kindle. Here is another recipe from Nava Atlas' American Harvest. Her philpy is a long-time favorite, and these muffins are a bit similar. In a mixing bowl, sift together the flours, baking powder, and salt. In another bowl, beat together the eggs, milk, rice, and melted butter. Gradually add wet ingredients to the dry and stir vigorously until thoroughly blended. Divide the batter evenly among the 12 cups of a greased muffin tin. When the muffins are cool enough to handle, transfer them to a plate or rack to cool. These muffins are great! Not a sweet or fruity muffin, but more 'bready,' more substantial. We are having them tonight for supper with Gladys Taber's Leek and Potato Soup, using frozen leeks from this summer's garden. Today is the first time I've been down to the house since mid-October. Because of the colder weather, the workers put in a kerosene construction heater to keep the house warm so the polyurethane on the floors would dry. Well, I'll tell you, I have never had such a sensitivity to a smell in my life. It was like it jumped right into my lungs and I felt sick. Tom went in a few times and when he got home, he had to put his clothes in the washer immediately, and still I had to open doors and burn candles for a while. Now the heat is on, and the heater is shut off. Thank goodness. SO much has been done since I last wrote. I'll let the pictures tell the story. The photos aren't so great because of the brightness! Maybe next time, I'll go down after dark. To celebrate Matt's birthday, they had a bonfire at the house, burning a lot of the scrap lumber from the job. We didn't go down, but it was quite a sight in the nighttime sky. Forty or fifty people showed up, and it lasted till midnight. The 'kids' thought nothing of standing outside for hours on a cold November night. I'm not sure when they'll be in. My guess would be not for two weeks anyway. The upstairs floors aren't finished, the washer and dryer need to be hooked up, the stove isn't in place yet. And I'm not sure about the water to the sinks. But still, it is moving along beautifully. Margaret and Matthew are so excited. For the other entries please click on tab under the header picture. When I begin an Arnaldur Indridason book, I sink into it as one would a big upholstered chair. From the very first sentence, it is a reading experience like no other. 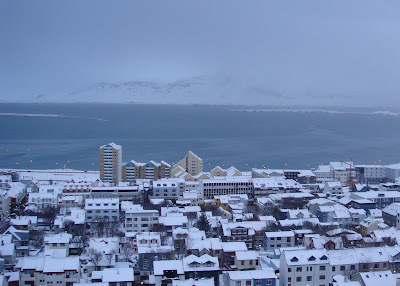 His theory was that Icelanders were indifferent about people who went missing. In the great majority of cases they believed there were 'natural' explanations, in a country with a fairly high suicide rate. Erlendur went further and linked the nonchalance about disappearances to a certain popular understanding, extending back for centuries, about conditions in Iceland, the hard climate in which people died of exposure and vanished as if the earth swallowed them up. Nobody was better acquainted than Erlendur with stories of people who had frozen to death in bad weather. His theory was that crimes were easy to commit under the cover of this indifference. 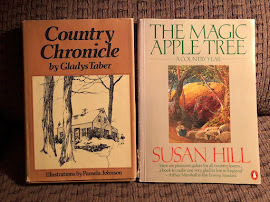 Each book teaches me something new about the country. 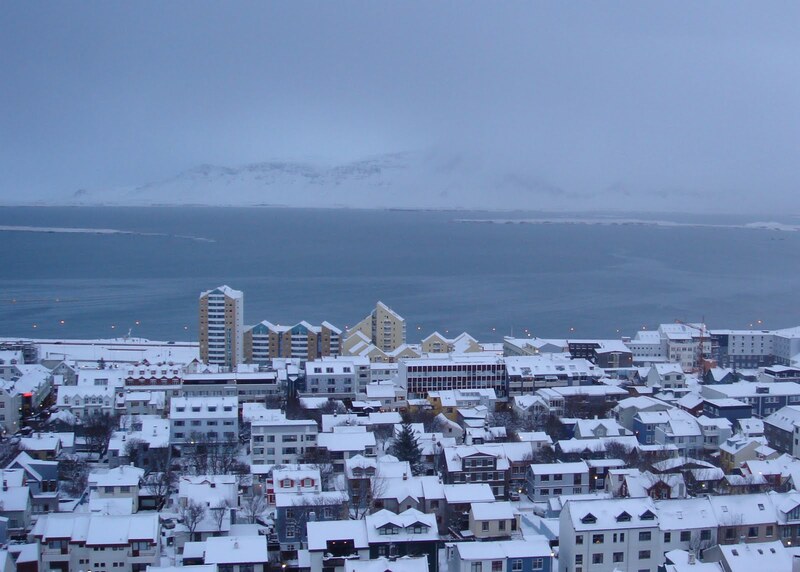 Arctic Chill focuses on how the Icelanders are dealing with a new population from Thailand. I read here that in 2005 when this book was written, there were about 500 Thais in Iceland. A young boy is found stabbed to death on a frigid January afternoon when it is dark at 4 pm. He is the son of an Icelandic father and Thai mother. The police haven't had much experience with racially motivated crimes, and wonder if this may be one. Then the mother's other son disappears. This is a heart-wrenching situation for all concerned, and is further complicated for Erlendur because he is getting occasional phone calls from a woman who says, 'Oh, God, I can't do it.' Is she a woman whose marriage has broken up, who has also disappeared? And why does she call him? As always, I don't want to give away too much about the story. What I will say is that this writer is one of the best I've ever read. The detail, the quiet exploration of people and society, the slow way the reader gets to know not only Erlendur but his family and co-workers is different from any other books. Arnaldur Indridason really stands alone for me. There's no one like him. If you haven't begun to read his work, I really do encourage you to do so. He is a wonderful writer and his books are excellent. an old enfeebled friend to stand. You know what I love about cooking? I love that after a day when nothing is sure, and when I say "nothing" I mean nothing, you can come home and absolutely know that if you add egg yolks to chocolate and sugar and milk, it will get thick. It's such a comfort. I have no idea who Sally Lunn was as this is a very old recipe from my childhood. I like to think of her using cast-iron muffin pans (which can't be beat) and wearing a starched and ruffled apron. but still these 'Gems' live up to their name. They are simple as can be. I've found that many old recipes call for less butter and sugar than new ones, and yet still taste just as wonderful. Plus, when there is less butter inside, you can put more on top of the muffins! Add butter, sugar, and milk. Mix flour and baking powder and add. Pour into greased muffin tins. Bake in preheated 400º F. oven until tops are a delicate brown and the edges draw away from the pan. For me, this was between 15 and 20 minutes. They are wonderful. Perfect for breakfast or with afternoon tea or coffee. and it is just the right size for us. I wish I could tell you where I got the recipe from, but I didn't note it down. What I did note is that it makes a fantastic crust and it is the one I now use exclusively if making supper for the two of us. Put a little olive oil in a bowl. Put in dough and roll it around a bit. Cover with damp cloth and put in the oven, with the temperature off and the oven light on until it doubles - an hour or so. Put it on greased pie plate and let rise a little more. Top with sauce and cheese, and any vegetables (either raw or lightly sautéed) you wish. Bake in preheated 375º oven for about half an hour. As I have noted previously, Tom is the cheese man around here. I've never liked it so my side is cheese-free. I have been asked a few times over the course of this blog what kind of camera I use. I believe there have been three in the almost four years I've been writing. The first was perfectly adequate. The pictures were fine, though not always as clear as I wished. For my birthday two years ago, Tom gave me a really nice camera. It was so wonderful of him, and I felt really badly because I just couldn't figure it out. I'm not one for technical details. I don't like fussing. My pictures turned out great most of the time, but I'd take many, many shots before getting a good one. I'd get frustrated, and then feel guilty because he'd given me this nice gift and it just wasn't for me. In August we went to our nephew's wedding, and I couldn't take one picture. The focus button didn't work. I tried using Margaret's, the one we gave her last Christmas, and it was great. I could see the whole scene I wanted to shoot. And all I had to do was push a button. I finally admitted to Tom that I felt badly, but I wanted a camera like that. He understood completely. He had heard my wailings of frustration enough to know it was time for something different. Well, I'll tell you, I couldn't be happier. 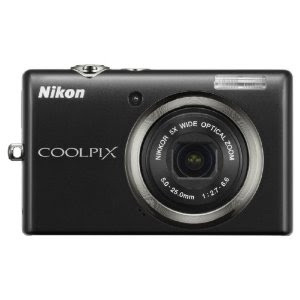 This is the camera of my dreams. It has all I need and I understand it. Oh, and one of the best things is that it is small and light. I can pop it in my pocket or my bag. The other one was hefty, and I had to put it around my neck. I wouldn't think of taking it somewhere because it was just too much to carry around. The cost was way less than the 'better' camera, but for me it is perfect. If you'd like one, here's the info. ... an Allied deception campaign aimed at convincing the Germans that Norway was a likely invasion target. Eisenhower exploited Operation Jupiter fully, even to the extent of issuing winter-weather gear to troops in England who were actually about to depart for the invasion of North Africa. His desire to make Norway into one big prisoner-of-war camp was fulfilled. ... Over 375,000 German soldiers, sailors, and airmen sat idle in Norway by the end of World War II. Billy is charged to find the spy who could sabotage this whole operation. Like any good IRA man, he hated the English. It had galled him to fight on the same side as the English in his war, and he didn't want me to do the same in mine. But Billy does work alongside the English, and comes to care deeply for them. The book is really a story of Billy's coming of age. By the end of the book he has matured, and realizes there is a lot more gray in the world than just black and white. There is some looking back at his family life, at his father's work as a police detective. 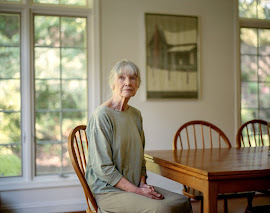 The characters are all fully-drawn, interesting people whose lives we get to glimpse as they do their important work. I learned so much about the Norway situation, the work that women did in the War, the relationship between the English and the Americans. There was a little bit of the feeling of the television series, Foyle's War, which I loved. 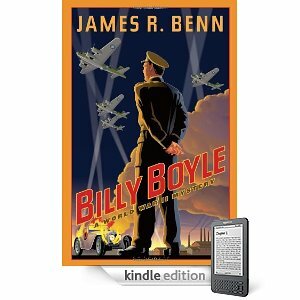 I so enjoyed Billy Boyle, the book and the character. Being told from his point of view made him seem so real. The reader sees his foibles and his strengths. The book has humor and it has sadness. I am so happy there are more books in the series, and I've already bought the second one. The exuberance of spring is over, and the rich ripeness of summer is gone. The extravagant beauty of October fades into the sober hue of November, and once more the trees will lift intricate patterns of dark branches against a soft pale sky.